The US Open Final 2014 was contested a few days ago, and it was safe to say, it was not a final that many tennis fans and commentators were expecting. 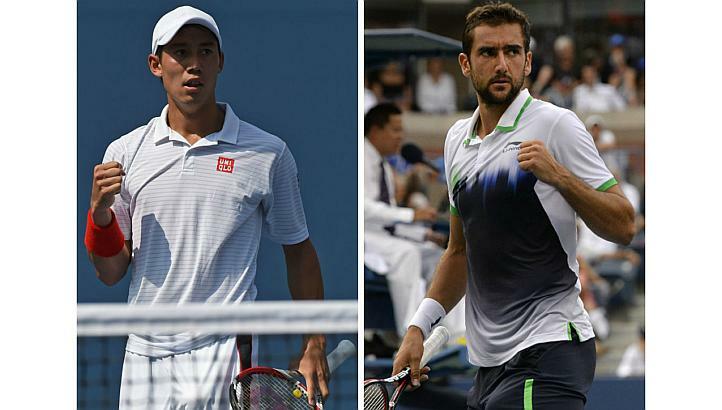 Kei Nishikori and Marin Cilic was were both first time Grand Slam finalists and both seeded in the double digits. Despite it being the first time that both had been all the way to the last match of the tournament, no one could deny that both players thoroughly deserved to be there. For Nishikori, he had finally begun to deliver on potential that has long been promised. For many years, his body had let him down at crucial moments, either not allowing him to contest the biggest tournaments, or forcing him to retire halfway through a Grand Slam. This time, Nishikori established himself as the tournaments marathon man. He toppled fellow young gun Milos Raonic and Australian Open champion Stanislas Wawrinka, both in five sets. He then backed it up in the semi final by outlasting world number 1 Novak Djokovic in four sets. For Marin Cilic, it was a slightly less gruelling road to the final, with a long five set struggle against Frenchman Gilles Simon in the fourth round, before an impressive run of form that saw him beat Tomas Berdych and stunningly, Roger Federer, both in straight sets. Following those efforts, the final was a somewhat straightforward result. Unlike the Titanic struggle between Novak Djokovic and Roger Federer in the most recent Slam final, this was a straight sets result to Cilic. He ran the energetic Nishikori off his feet, and dominated the baseline exchanges to break his opponent in each set. In the end, the result was a 6-3 advantage to Cilic in each of the three sets. So how did the giant Croatian overcome the marathon man of the US Open so quickly? As your online tennis coach, I have watched the US Open final, and have pinpointed where the match was won. Here is my analysis. Temperament – for a long time, the major weakness in Marin Cilic’s game was that he was prone to crumble during the biggest points of the match. It was said that opponents might be blown off the court during the first, and maybe even the second set of Grand Slam matches, but when it came to the crucial points, Cilic was likely to lose his nerve and make unforced errors. Those errors often compounded and once the opponent had regained a foothold in the match, they could often unnerve him and stage a comeback. In this Grand Slam, however, Cilic appeared able to block out the thoughts of previous failures and focus solely on the next point. This was most clear during the demolition of Federer. Cilic knew he had to take his chances to deny the Swiss master his next US Open crown, and attacked from the outset. Crucially, he did not falter when one of his booming forehand drives went wide, but simply shook it off and repeated his process for the next point. Service Game – Tall players like Cilic, Juan Martin Del Potro and Milos Raonic have the advantage of possessing a powerful service game that few can match. Cilic made the most of this physical advantage by firing 17 aces down at the helpless Nishikori. This feat is made even more impressive by the fact that the game only lasted three sets. The raw power of the Croatian’s serves compensated for his wayward accuracy, with just over half of his first serves landing in. 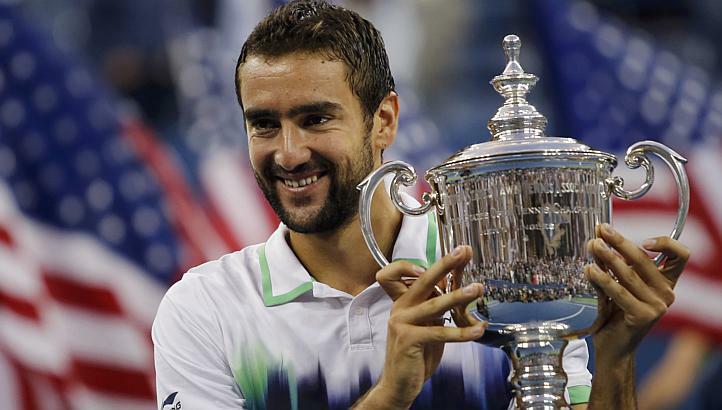 Power – It was clear in this US Open final that Cilic simply was too strong for Nishikori from the baseline. This was showed with his groundstrokes continually pushing the young Japanese player further behind the baseline with each shot. The statistic that reveals this is that Nishikori made 36 forced and unforced errors from the baseline. Many of these were the result of being pushed back to a position where an attacking shot was impossible, and the defensive shot that he was forced to play allowed Cilic to finish approach the net and finish the point, which he did to great effect. Nullifying the Running Game – Nishikori’s great strength during this tournament, as it always has been, was his ability to retrieve almost any ball. His running game served him incredibly well, and allowed him to extend rallies and exhaust opponents, allowing his superior conditioning to win the game and often, the set and match. Cilic knew this, and his game plan from the outset was clearly to do everything he could to shorten the points. The attack was often opened on the return of Nishikori’s serve, with 32 return points won by Cilic, which was more than double his opponent. It also created 11 break point opportunities, with Cilic able to convert five of them, which was enough to seal his first US Open title. The US Open heralded the beginning of an era that many have been predicting for some time now. It was the first time in recent memory that none of the so-called “Big 4” had contested a Grand Slam final. Of course, Nadal was injured, and Murray was on the comeback trail as well. The emergence of Cilic and Nishikori at the US Open along with Grigor Dimitrov and Nick Kyrigos at Wimbledon may not signal the beginning of a new era in tennis. What it does mean though is that every major tournament from now will be much more fiercely contested, and the battle to reach the semi finals and finals will likely be just as tough as the final itself. With all that in mind I can’t wait for the first Grand Slam of 2015, the Australian Open, to watch the new challengers take on the old guard on the biggest stage in the world. From "US Open Final 2014: My Post Match Analysis" To "How To Play Tennis Efficiently And Become A Better Player"